ALICE represents the men and women of all ages and races who, just like us, wake up each day to go to work. The difference is, every night ALICE families are faced with the uncertainty of whether or not they will be able to put dinner on the table. This new report presents the size and condition of households struggling financially in Indiana. For more information on how United Way of Delaware and Henry Counties is supporting the ALICE population, contact Jim Flatford. 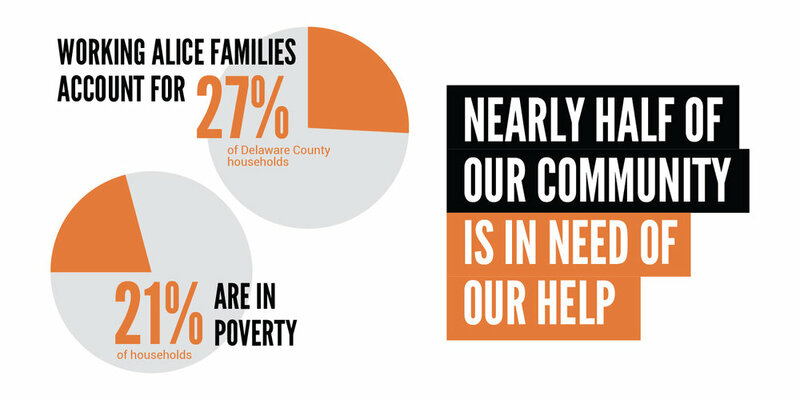 We're sharing the stories of working families living and working in Delaware Country. United Way funded resources, made possible by kind donors like you, provide these families with the support they need to make ends meet each and every day. These working families are the home health aids caring for your parents, the bus drivers providing reliable transportation for your children, and the mechanics who are there for you when you need a little extra assistance—and they need your help.